I am a 34-year-old with a mother who is 72 and a father who recently passed from Parkinson’s Disease. My father was 69 and I helped just about every day with the at-times daunting task of bathing, feeding, and reading to him. Luckily, through the current health care system, nurses were able to come into the home and help with these efforts. 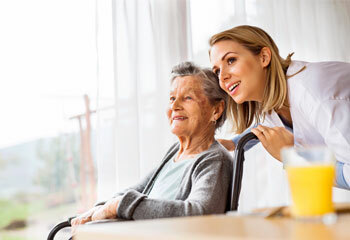 However, thinking about those who are retiring and heading into the golden years facing health problems of many kinds, will loved ones and our health care system be able to provide the necessary care for these individuals? Birth rates are currently the lowest they have ever been in the last 30 years. Since 1987, the United States has seen the birth rate fall for nearly every age group of women able to bear children. The CDC’s National Center for Health Statistics has stated that “The rate has generally been below replacement since 1971. Some say the cause of this low child-birth rate is due to economic hardship or the average age of marriage and desire to begin a family. 27.5 happens to by the current age of first-time marriages. To put that into perspective, back in 1990, the age was 24 for women and in 1980 it was 22. In fact, back in the 50’s and 60’s, it was 20! Even the idea of marriage and has slowly become secondary to many millennials who are focused more on experiencing relationships in a recreational way that is less goal oriented and leading to more single couples just living together free of the commitment of marriage and the idea of children. In 2018, the average amount of those retiring per day is 10,000. There just might not be enough caregivers to go around. A research project founded by members of United Health Care, MedStar Health, AARP and Pfizer projected in 2014 that approximately 40 million Americans aided unpaid care to an adult. The population of caregivers is said to reach 45 million by 2020 caring for 117 million people. With this decline in childbirth rates comes the daunting question, who will take care of the massive generation of those born between 1946 and 1964? As far as the growing demand for caregiving, the numbers are not adding up. This calls for a huge demand in the caregiving world. Joe Coughlin, an MIT Age Lab director, revealing the “3 D’s”, divorce, distance, and debt. As divorce rates have more than doubled, these individuals no longer have a caregiver in the not so distant future. And if they do, many are spaced out, living in other states, making the need to care for a family member much more difficult and the need for a facility to tend to them instead. The college-age students carry the burden of massive amounts of debt which also creates a roadblock in being able to afford the proper care for loved ones. The biggest changes that need to take place are social and public policy changes that must begin soon. There needs to be an assurance of sufficient resources and an effective service system available by 2030 when the elderly population becomes twice what it is today. As the Health Service Research team states, “Everyone can reap the benefits when the elderly can be integrated fully into a caring society”. Perhaps taking a step back and evaluating the values of family and caring for each other in this society will make a difference in a world that is so fast paced and full of demands.